Construction has been completed and leasing is nearly finished at Saich Way Station, a sleek 15,650 sq. ft. retail center in a prime, high-traffic area just off Stevens Creek Boulevard between Target and Whole Foods Market in Cupertino. The busy location in Cupertino’s desirable “Heart of the City” area and within walking distance of Apple’s many offices has quickly attracted top tenants such as Vitamin Shoppe, T-Mobile USA, The Melt, and Blast 825° Pizza — resulting in all but 840 sq. ft. of space being leased. With development wrapping up, the retail center has now been listed for sale through widely respected real estate brokerage firm, Marcus & Millichap. The Saich Way Station development is a story of transforming bad news into good for the community. In July of 2008, sparked by a fire in the Bombay Oven restaurant, a small retail center occupying the current 1.29-acre site burned to the ground. Saich Way Station features a modern profile with a low roofline, ample glass, attention-getting awnings, and stylish lighting — making it a perfect fit for such an upscale area. Working in close cooperation with city planners and other officials, general contractor SiliconX Construction incorporated numerous environmentally friendly, California Green features, such as a sophisticated drainage system that contains all runoff on-site — except in the case of a 100-year rain event — plus orchard-sized shade trees. The center is pedestrian- and bicycle-friendly — with broad walkways, outdoor seating areas and convenient bike racks. Well-chosen paving stones and decorative tree grates provide added refinements to the center. Each store offers plenty of parking at the door — so retailers can attract and serve their share of the 30,000 vehicles that pass by daily on busy Stevens Creek Boulevard. SiliconX Construction has also handled the custom tenant improvements as each retailer prepares its space for occupancy. Heritage Bank provided the construction loan for the project. With only one small unit remaining — a highly visible, easily accessible end-cap space on the building’s far end — Saich Way Station has been listed for sale. Well-known broker Marcus & Millichap is currently accepting offers, and expects significant interest not only from U.S. groups, but also from international buyers. Tenants interested in the final space at Saich Way Station can reach Randol Mackley of SRS at (408) 216-2316, or via email at randol.mackley@srsre.com. Prospective buyers can contact Vince Schwab at Marcus & Millichap at 415-625-2171 or vince.shwab@marcusmillichap.com. For additional information about Saich Way Station, please contact Larry Bengiveno, vice president of Borelli Investment Company, at (408) 453-4700, or email larry@borelli.com. Now in its 61st year in business, Borelli Investment Company is one of the oldest commercial real estate firms serving the Santa Clara Valley, Central Valley and Sacramento areas. The company provides a full range of commercial real estate services — from development and asset management to land sales and property management services — as well as general contracting through its SiliconX Construction affiliate. More information about Borelli Investment Company’s services may be obtained by calling (408) 453-4700 or visiting www.borellli.com. SiliconX Construction is a full-service general contractor that provides a wide array of value-focused construction services to clients throughout Northern California. Specialties include ground-up construction, major renovations, tenant improvements, and facilities maintenance. For more information, call Tony Gonzales at (408) 418-0099, or e-mail tony@borelli.com. Or visit siliconxconstruction.com. With over 1,500 investment professionals located throughout the United States and Canada, Marcus & Millichap is a leading specialist in commercial real estate investment sales, financing, research, and advisory services. Founded in 1971, the firm closed more than 8,700 transactions in 2015 with a value of approximately $37.8 billion. The company has perfected a powerful system for marketing properties that combines investment specialization, local market expertise, the industry’s most comprehensive research, state-of-the-art technology, and relationships with the largest pool of qualified investors. To learn more, please visit: www.MarcusMillichap.com. Marcus & Millichap has been selected to exclusively market for sale Saich Way Station, a 15,673 square foot multi-tenant retail center in Cupertino, California. This offering represents the rare opportunity to acquire a newly constructed trophy retail asset located in one of the most affluent communities in the nation. Saich Way Station has an attractive mix of restaurant, retail, and personal service uses; current tenancy includes The Vitamin Shoppe, T-Mobile, The Melt, H&R Block, Blast 825 Pizza, Site for Sore Eyes, and The Coder School Cupertino. The property is ideally located at the northwest corner of Stevens Creek Boulevard and Saich Way between Target and Whole Foods. More than 31,000 vehicles pass the site each day along Stevens Creek Boulevard. Saich Way Station has a total of 15,673 square feet of gross leasable area in two buildings and is situated on a 1.32-acre site. The improvements were constructed in 2015 and are in excellent condition. The retail space has been configured into two buildings, which creates four highly desirable end cap units at the property, in addition to the five inline spaces. The design of the center significantly increases the income potential of all spaces within the property. Additionally, the configuration of the buildings greatly improves circulation within the center and access to the property. The center is accessed from one curb cut along Stevens Creek Boulevard and two curb cuts along Saich Way. Parking is provided in a surface lot with 78 spaces, for a ratio of 4.98 spaces per 1,000 square feet. Saich Way Station is located less than one mile from Apple’s headquarters on De Anza Boulevard and is approximately two miles from the new 3.4 million square foot Apple Campus 2 on Wolfe Road. Apple currently has approximately 15,000 employees in Cupertino and will be doubling their employment in the city when the new campus opens in late 2016. The property is also one-half mile from De Anza College, which has an enrollment of 21,500 students. The close proximity of the property to major employers and a large college campus makes the center an ideal location for personal service tenants, convenience retailers, casual dining, and quick-service restaurants. The property is located along Stevens Creek Boulevard, the primary commercial thoroughfare in Cupertino. There are several major retail developments in the immediate area, including a Target store located directly east of Saich Way Station and a Whole Food Market to the east of the development. A shopping center anchored by TJ Maxx, Party City, Home Goods, Sprouts Farmers Market, Pier 1 Imports, Staples, and Aaron Brothers is located directly south of the property. Regional access to the property is provided by State Highway 85 and Interstate 280. An interchange with State Highway 85 is located approximately one-half mile west of the subject property on Stevens Creek Boulevard. Interstate 280 is accessible from an interchange at De Anza Boulevard, located approximately one mile northeast of Saich Way Station. Stevens Creek Boulevard, De Anza Boulevard, and Stelling Road. Paragon Commercial has acquired a nine-acre retail center that houses a 128k SF Target. The center is close to Apple’s campus and about one mile from Apple’s under-construction global HQ expansion. Paragon principal Jim Dillavou (here in the company’s new El Segundo digs) tells us there’s incredible upside to the center at 20745 Stevens Creek Blvd, and Paragon is definitely looking at a value-add play, which could be adding additional retail space or potential other uses, but it’s too early to really know. The company is bullish on the market (who isn’t?) and plans to make other acquisitions in the region this year, he tells us. Read the full story on BISNOW, here. This property is across the street from our own Saich Way Station retail development. 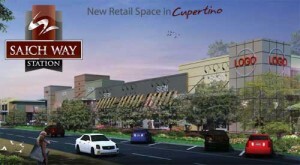 We’re excited to see so much energy in the Cupertino market. Contact us for leasing information today. Borelli Investment Company has announced that T-Mobile USA — a national provider of wireless voice, messaging and data services capable of reaching more than 293 million Americans where they live, work and play — has leased 1,750 sq. ft. of space at Saich Way Station in Cupertino. The T-Mobile agreement fills the front building at Saich Way Station, bringing the center to approximately 60% leased. Borelli Investment Company no ted that T-Mobile has continued to see a surge in its number of new subscribers in competing among the “big four” carriers — driven by the value of its plans, the breadth of its coverage and the high reliability of its network. The new store at Saich Way Station puts T-Mobile in the heart of the Cupertino market — with its outstanding demographics, including average household incomes of more than $135,000, and strong retail sales — making it an ideal location to attract new subscribers and sell phones, tablets and other wireless devices. Saich Way Station is being developed by Borelli Investment Company and built by SiliconX Construction. The $10.4 million, 15,650 sq. ft. retail center is located across Saich Way from the Cupertino Target store and just down Stevens Creek Boulevard from Whole Foods Market. The center features a modern façade with clean lines, plenty of glass, attractive awnings, and eye-catching logo positions. It will benefit from the more than 30,000 vehicles that travel up and down Stevens Creek Boulevard daily. With the shell of Saich Way Station scheduled to be completed in May, anchor tenant Vitamin Shoppe — a health and wellness retailer with more than 700 locations — is expected to move into its 3,500 sq. ft. store as quickly as it can complete the tenant improvements. Vitamin Shoppe will be followed in rapid order by Blast 825° Pizza, which will occupy 2,800 sq. 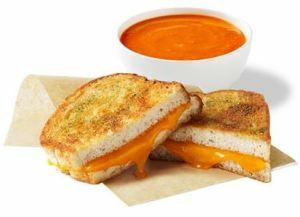 ft. of space, and The Melt — a fast-growing chain of gourmet grilled cheese eateries — which will open a 1,750 sq. ft. store. T-Mobile expects to be in its new space in July. Only four spaces remain to be leased, ranging in size from 1,025 to 1,750 sq. ft., with strong interest from a mix of national retailers, local franchises, financial services firms, and other small businesses. In keeping with Cupertino’s mid-town development plan, the retail center will be accommodating to pedestrians and bicyclists — offering broad walkways, an outdoor sitting area, bicycle racks, and orchard-sized shade trees. Ample parking will also be available. SiliconX Construction serves as the project’s general contractor for Saich Way Station. The $6.4 million construction loan was provided by Heritage Bank. And Randol Mackley of SRS Real Estate Partners is the retail broker. Mackley can be reached at (408) 216-2316, or via email at randol.mackley@srsre.com. Now in its 60th year in business, Borelli Investment Company is one of the oldest commercial real estate firms serving the Santa Clara Valley, Central Valley and Sacramento areas. The company provides a full range of commercial real estate services — from development and asset management to land sales and property management services — as well as general contracting through its SiliconX Construction affiliate. More information about Borelli Investment Company’s services may be obtained by calling (408) 453-4700 or visiting borellli.com. SiliconX Construction is a full-service general contractor that provides a wide array of value-focused construction services to clients throughout Northern California. Specialties include ground-up construction, major renovations, tenant improvements, and facilities maintenance. For more information, call Tony Gonzales at (408) 418-0099, or e-mail tom@borelli.com. Or visit siliconxconstruction.com. Construction at Cupertino’s newest retail center Saich Way Station is on schedule! Check out the live construction camera here. Silicon X Construction is the contractor on the project, and retail space is being leased by Borelli Investment Company. Contact us for more information. 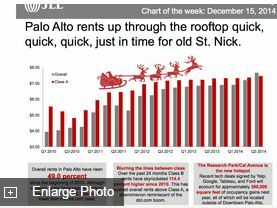 After stabilizing for much of the year, Palo Alto office rents are closing out the year on an up note, according to a new infographic from JLL. The city, considered one of Silicon Valley’s most desirable office markets, has seen rents overall climb 49 percent since the start of 2010, JLL says. The number for less-swanky Class B product? That’s zoomed even more, up 114.4 percent, JLL says. Read the full story in the Silicon Valley Business journal here. The Melt — a fast-growing chain of gourmet grilled cheese eateries with 16 locations in Northern and Southern California — has leased 1,700 sq. ft. of space at Saich Way Station in Cupertino — a new $10.4 million, 15,600 sq. ft. retail center being developed by Borelli Investment Company. The new restaurant will have seating for 78 guests, both inside and on an outside patio. Based in San Francisco, The Melt offers a wide variety of grilled cheese sandwiches — ranging from a traditional version made with aged cheddar on artisan white bread to sandwiches with smoked bacon and macaroni or short rib of beef together with pepper jack, provolone and jalapeños. The Melt also serves a selection of soups, side salads, simple desserts, and drinks —including natural sodas and fruit juice, iced tea, lemonade, milk shakes, and wholesome milk — to complement its all-natural grilled cheese sandwiches. Saich Way Station broke ground in mid-July on Saich Way in Cupertino, across from the Target store and a block down Stevens Creek Boulevard from one of the busiest Whole Foods Market stores in the entire chain. Cupertino represents an ideal location for The Melt with the community’s upscale demographics that include 70% of the residents with college degrees and average household incomes that are in excess of $135,000. Employers such as Apple and other technology companies are also expected to supply plenty of diners looking for something different and healthier than the standard burger for lunch or dinner. In addition to The Melt, other signed tenants at Saich Way Center in Cupertino include anchor Vitamin Shoppe, an international health and wellness retailer with more than 600 locations; and Blast 825 Pizza, a fast-casual pizza franchise. There are five or six stores remaining available to lease in sizes from 840 sq. ft. to 3,200 sq. ft.
Cupertino has one of the lowest retail vacancies in Silicon Valley at less than 3%, so Borelli Investment Company expects the available shops to lease quickly. General contractor SiliconX Construction anticipates completion of the center’s shell in January 2015, with tenant improvements and store openings taking place throughout the first quarter. Saich Way Station features a contemporary design with a low roofline, awnings and attractive, modern exterior lighting. The center meets Cupertino’s goal of being pedestrian- and bicycle-friendly, with broad walkways, a shaded outdoor sitting area, bicycle racks, and orchard-sized shade trees. Ample parking will also be available in large lots at the door. Heritage Bank supplied a $6.4 million construction loan that was needed to begin the project. The architect is FCGA Architecture. HMH Engineers is overseeing all civil engineering work. Interested retailers should contact Randol Mackley, senior vice president of SRS Real Estate Partners, at (408) 216-2316, or email randol.mackley@srsre.com. Blast 825 Pizza — an expanding chain of restaurants capitalizing on the hot trend toward quick-fire, custom pizzas that are ready to eat in three minutes — has leased 2,800 sq. ft. of space at Saich Way Station in Cupertino, for its first Bay Area location. Developed by Borelli Investment Company, the $10.4 million, 15,600 sq. ft. Saich Way Center is now under construction across Saich Way from the Cupertino Target store and just down Stevens Creek Boulevard from Whole Foods Market. In addition to Blast Pizza, lease signees include anchor Vitamin Shoppe, a health and wellness store with more than 600 locations. The shell for Saich Way Center in Cupertino will be completed in January 2015, with Blast Pizza and other announced tenants expected to open their doors in quick order in the first quarter. 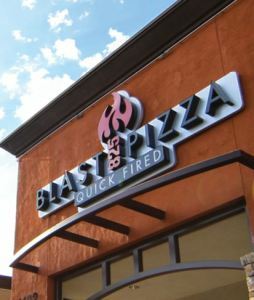 Cupertino represents an ideal market for Blast Pizza. The community offers highly desirable demographics, with more than 70% of Cupertino residents having earned a college degree and average household incomes above $135,000. Equally important, Cupertino is home to many technology companies led by Apple, whose employees are noted for their long work days — often fueled by pizza and other convenience foods available on a moment’s notice. Blast Pizza relies on super-hot ovens of 825 degrees to quick-fire pizzas that are custom-ordered as guests move through line. Diners can choose from Blast Pizza’s 40 fresh toppings, 5 artisanal sauces and three hand-tossed doughs, with the pizzas ready to eat almost as soon as guests get their drinks. The Cupertino location of Blast Pizza will have seating for between 75 and 80 guests inside or on the restaurant’s outdoor patio. Five or six shops remain available for lease — depending upon the square footage requirements of each tenant — in sizes ranging from 840 sq. ft. to 3,200 sq. ft. With a retail vacancy rate of less than 3%, the available space is expected to be locked up quickly. 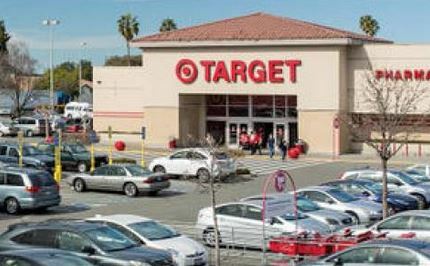 All of the shops will enjoy exposure to the steady traffic attracted by the Target store directly across Saich Way, as well as by the approximately 31,000 vehicles that travel up and down Stevens Creek Boulevard daily. The shopping center has been designed with pedestrians and bicyclists in mind, with broad walkways, a shaded outdoor sitting area, bicycle racks, and orchard-sized shade trees. Ample parking will also be available at the door. SiliconX Construction is the project’s general contractor. Heritage Bank supplied the $6.4 million construction loan that was required to proceed. The architect is FCGA Architecture. HMH Engineers is overseeing all civil engineering needs. Interested retailers should contact Randol Mackley, senior vice president of SRS Real Estate Partners, at (408) 216-2316, or email randol.mackley@srsre.com. For additional information about Saich Way Center, please contact Larry Bengiveno, vice president of Borelli Investment Company, at (408) 453-4700, or email larry@borelli.com. After several years in the planning process, Saich Way Station broke ground in mid-July and is now rapidly rising in the heart of Cupertino’s most desirable retail area — directly across Saich Way from the Cupertino Target store and just down Stevens Creek Boulevard from one of the best-performing Whole Foods Market stores in North America. The $10.4 million, 15,600 sq. ft. retail center has already attracted three strong tenants: anchor, Vitamin Shoppe, an international health and wellness retailer that is in a prime location on the corner of Stevens Creek Boulevard and Saich Way; Blast 825 Pizza, a competitor in the quick-fire, custom pizza category; and The Melt, a fast-growing chain of gourmet, grilled-cheese restaurants. Borelli Investment Company has diligently worked on developing the sleek, low-profile retail center since an aging neighborhood center was destroyed in a fire in 2008. The property owner decided to engage in a joint venture with Borelli and rebuild it from scratch. Obtaining the necessary city approvals took a number of years. This past summer the final piece of the development process was put into place, with the securing of a $6.4 million construction loan obtained through Heritage Bank, so construction could begin. Five ideal locations for retail shops remain — ranging in size from 840 sq. ft. to 3,200 sq. ft. (combining several spaces) — directly across from the Target parking lot. All will benefit from the high traffic volume on Saich Way and Stevens Creek Boulevard, as well as Cupertino’s compelling demographics with more than 70% of residents holding college degrees and average household incomes of over $137,000 — thanks to Apple and other technology employers. Retail space in Cupertino has a very low vacancy rate, making the shops at Saich Way Center excellent opportunities for retailers interested in serving the Cupertino market. The comfortable, pedestrian- and bicycle-friendly design of Saich Way Center in Cupertino features the ample use of awnings and attractive exterior lighting, wide walkways, orchard-sized trees, a shaded outdoor sitting area, bicycle racks, and extensive landscaping. Ample parking will be available, both on street and in large parking lots that serve the Saich Way Center and an adjacent center with a Panera Bread and Peet’s Coffee & Tea. Anticipated completion of the center’s shell is scheduled for January 2015, with the stores opening in the first quarter of the year. SiliconX Construction is the general contractor on the project. FCGA Architecture created the design and HMH Engineers handled the civil engineering. Interested retailers should contact Randol Mackley, senior vice president of SRS Real Estate Partners, at (408) 216-2316, or email randol.mackley@srsre.com. “We are in an outright boom; the strongest place in America.” Those were the resounding words spoken by Kenneth Rosen, chairman of the Fisher Center for Real Estate and Urban Economics at the Haas School of Business of the University of California, Berkeley, as he opened the center’s 19th annual conference, Monday, April 28, describing the state of the Bay Area real estate market. The information presented at the event summarized the state of the national economy, with special emphasis on the regional figures, as well. But it was the assessment of the real estate industry that most of the attendees of the event wanted to hear. Unsurprisingly, the region checked in as healthy as one would expect. Read the full story at The Registry.